How About The Roll To Roll Heat Press Machine For Printed Fabric? As we all know with the development of the sublimation printing in fabric printing area, heat press becoing more and more important. Heat press machine is often used for printing designs and graphics on all types of surfaces ranging from fabric to fiber has been made possible. Heat press is an equipment that uses heat and pressure to create any customized design on an im-printable substrate. The machine is being voraciously utilized in the commercial, private, and industrial sector. They find their application in imprinting fabrics, toys, mugs, packaging, ceramic, metallic, wooden, fiber, and many other artistic industrial products. 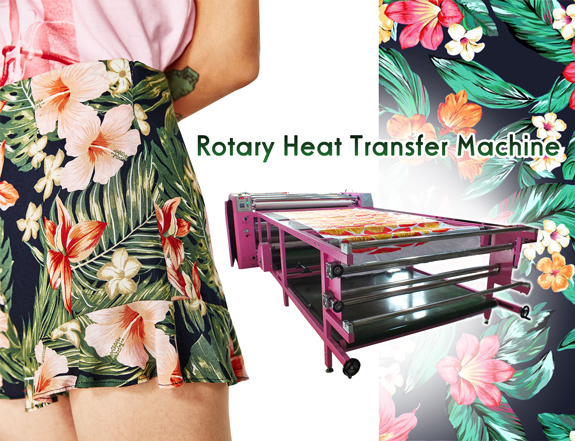 A heat press may print multiple pieces of fabric or garments, using a single heat transfer. 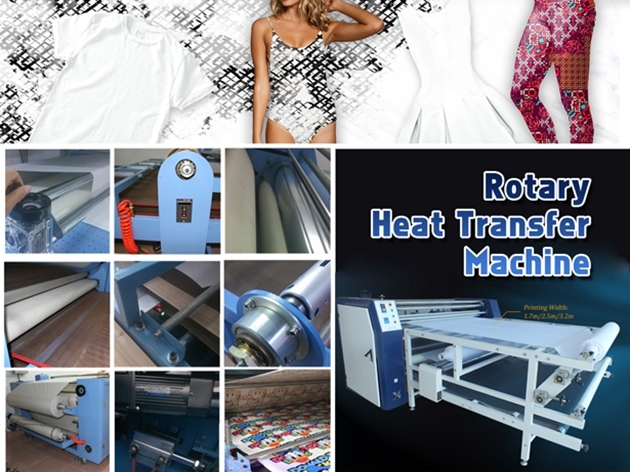 The industrial heat press machine runs the fabric under the platen the required number of times until all the transfers is complete.Heat press printing is commonly used in the creation of t shirts, logo garments and advertising banners. It is reasonably economical and can produce a high volume of printed items during a single session. Heat transfer printing of the kind referred to above, though, creates a much larger potential volume of waste than sublimation printing using a digital printer, as it requires the transfer themselves to be created, which become refused once a job is complete. The sublimation printer has no such run-off and so is commonly seen as more environmentally friendly. 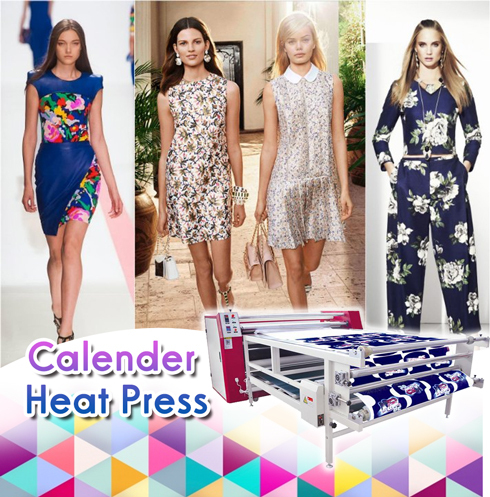 The heat press machine is always used in the second part of the sublimation printing process. In this case, the heat is used to seal the dye inside the fabric – after it has been injected by the sublimation printer. The heat press ensures that the ink, which has been infused into the fibres of the fabric being printed, is stable and won’t run when the garment or item is washed. Also after print your design onto fabric using pressure and heat. One variant of the heat press requires a heat transfer of some kind, which is loaded into one half of the press. The fabric to be printed on is then loaded into the other half of the press, many heat press machines are variations on a basic clamshell design. The transfer is then held in place on the fabric by the weight of the press, which seals the heat reactive ink to the fibres. Sublistar is professional heat transfer machine manufacturer in China. We can provide you high quality heat press machine with different width and length, if any needs, pls feel free to contact us!